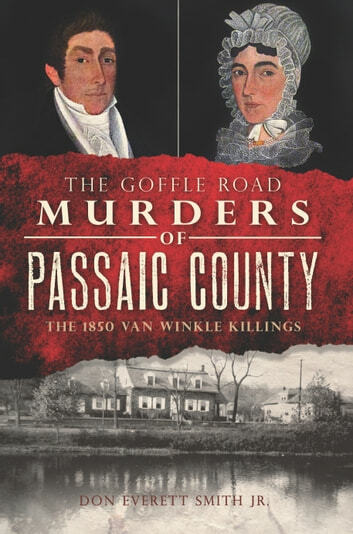 by Don Everett Smith Jr.
On January 9, 1850, Judge John Van Winkle and his wife, Jane, were brutally stabbed to death by their former farm hand, John Jonston, in their home on Goffle Road in Hawthorne, NJ (which is still standing). 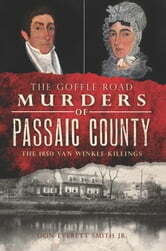 Their murder would go down in history as the first in Passaic County. Since the murder in 1850, it inspired the work of New Jersey's greatest poet William Carlos Williams. Williams would go on to inspire the works of Jack Kerouac and Allen Ginsberg. In 1850, with the execution of Jonston, it became the first execution in Passaic County. The newspaper accounts of the day go into great depths to describe the day. As recorded in The New York Times in 1882 "the abode of unearthly visitants," there have been documented occurrences of the unexplained occurring, and the current owner, Henry Tuttman is working to bring the house in the 21st Century while retaining the heritage of the house. More By Don Everett Smith Jr.